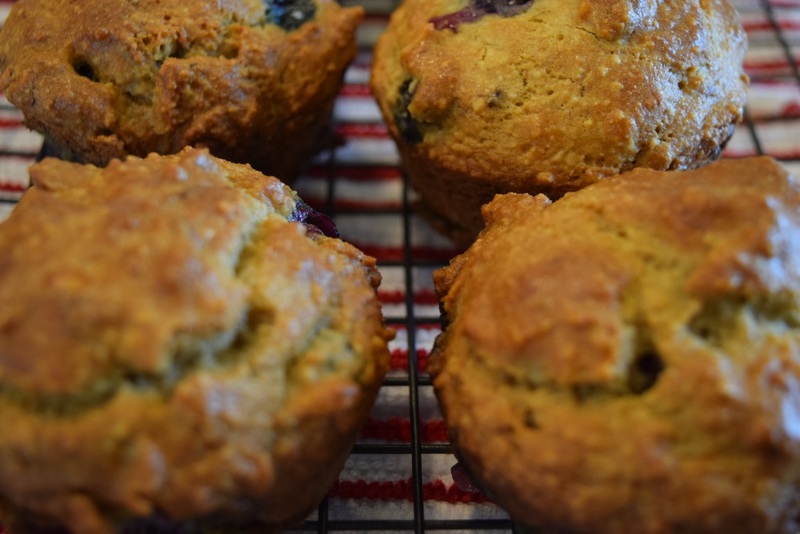 I love this blueberry muffin recipe originally from the founder of the 21 Day fix diet. These muffins are super moist and tasty, yet they are gluten free, low carb, and free of refined sugar. The sweetness comes solely from fruit. Made with almond flour, they also have a good measure of protein. This makes them perfect for breakfast or as a filling snack. Yet another bonus is how easy they are to make! I buy Almond Flour at the grocery store. Look for Bob’s Red Mill products in the baking aisle and you can find it there. If your store offers a health food section or bulk section, they might have almond flour there as well. I use olive oil in this recipe, but I have seen versions of it that use coconut oil instead. You can also use canola oil. I also sometimes add crushed walnuts to this or I make it with raspberries instead of blueberries. The amount of banana used is flexible. I use 2 medium sized ones, but you can go as low as one large banana. 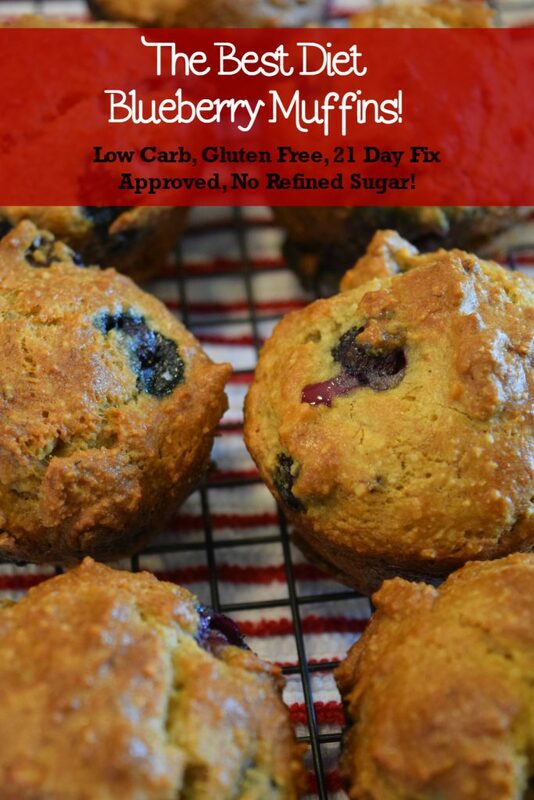 An easy healthy blueberry muffin recipe that is gluten free, low carb, 21 day fix approved and with no refined sugar. Mix together the flour, salt and baking soda. In a second bowl, mix together the olive oil and eggs. Add the bananas to the oil and egg mix and mash them. Divide equally into lined or oiled muffin pans (this recipe makes 9-12). Bake for 30 minutes, until a toothpick comes out mostly dry.